On 26-27 November 2012 the 6th Scholarly Communication Seminar of UNICA, the Network of Universities from the Capitals of Europe, took place in Brussels, at the Université libre de Bruxelles and at the Vrije Universiteit Brussel, in Belgium. 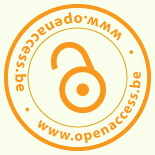 Open Access was among the topics addressed during the conference. Natalia Manola, from the University of Athens, presented the OpenAIRE EC-funded project which aims to provide the Open Access knowledge infrastructure for Europe. She outlined the data model which is linking information on publication, data and project, as well as the services provided by the platform for researchers, data providers, project coordinators, and research administrators. She pointed to other possible outcomes, such as use for the European Grid Initiatives, and the opportunity of OpenAIRE usage statistics as alternative measures of impact. Lars Bjørnshauge, from SPARC Europe, focused on the development of Open Access. He stated that more than 10% of the annual production of journal articles are published in Open Access journals and almost 10% are archived in Institutional repositories. He outlined the national and cross-national programmes and activities to support and implement Open Access but also underlined the main obstacles to the global uptake of OA: the current dissemination system is dysfunctional and expensive but the reward mechanisms support this traditional system. He denounced a lack of courage of decision makers and the inertia of academia and urged them to reclaim the responsibility for the dissemination of research results and research data. Celina Ramjoué, from the European Commission DG Communications Networks, Content and Technology (CONNECT), presented what the European Commission has been doing to optimise the impact of publicly funded scientific research, and in particular its Open Access policy. In the next framework programme for Research and Innovation, Horizon 2020, there will be a general principle of open access to publications and both ‘Green’ and ‘Gold’ open access measures should be promoted in Europe. There will also be a pilot to explore open access to data, taking into account privacy, security and commercial interests. The EC has also issued recommendations to Member States to define policies and to implement open access to and preservation of publication and research data. On the technical side, Miguel-Angel Sicilia, Professor of Computer Science at Alcala University, outlined what Current Research Information Systems (CRIS) are; they comprise indicators and information about researchers, organisations, programmes and projects as well as research outcomes, and provide an integrated approach towards managing research information. Thus Institutional repositories must be linked to CRIS, and should include not only publications but also datasets. He supported a Linked Open Data approach in order to link data archived in different repositories.